Actually, I am not familiar with these 2 brands I just heard them just today from hypebeast and I immediately finds them worth to blog though as these collaborative finds they’ve have here are quite quirky and I simply loves the retro vibes to them hence I’ve decided to post them up here. These sunglasses are superb and I think they can goes well in any styling to trying to pull off especially then if you are fond of wearing something in the vintage inspired though these sunglasses are perfectly into millennial styling as well but still you’ll have to consider the finds you’d trying to mix and match up. These sunglasses are not yet in the market at the moment as the two brands are still working on the final touch but no worries because brand had releases an update through their website that these sunglasses aren’t take you so long to be in market just keep on checking the both brand’s online shops to keep you posted. For the pricing range? 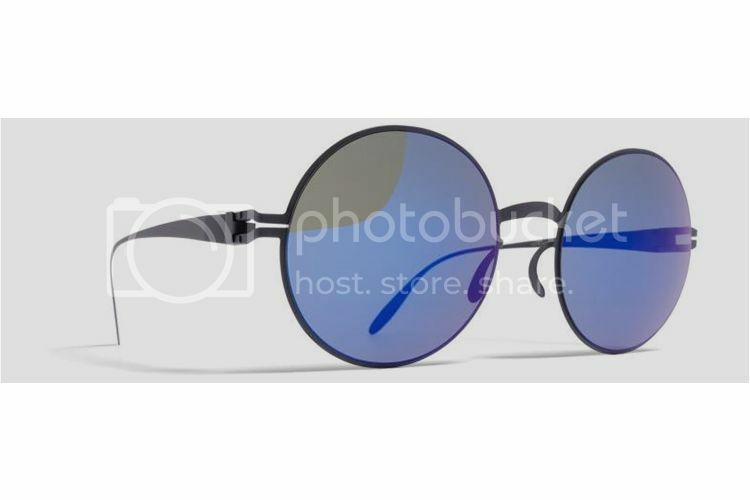 as for now I haven’t know it yet s they aren’t release the full PR but they’ll going to tell us all before this month, May, will end hence you better to check me here as I do update you guys here for this Maison Margiela & MYKITA New Collaborative Sunglasses 2017. Sunglasses are an item that most people are going to need every now and then. You might need to replace your current pair. There is also the chance that a member of your family needs a new pair of sunglasses. Whatever the case may be, there are an enormous amount of sites that sell this particular item. How do you decide which is the best place to make your purchases? There are a number of things that you need to take into consideration before you start spending money. Here are some tips that will enable you to save some cash on sunglasses. 1. Look for sites that notify their customers about sales via text and email. It is becoming more common for online businesses to attract new customers by letting them know about the sales that they will have coming up. One of the most popular methods for doing this is to allow the customers to sign up to receive text or email alerts every time the site will have a sale. The message will give the date and time the sale is scheduled to begin. Try to find sites that sell sunglasses that offer this service to their customers. 2. Look for sites that sell used sunglasses. You should not care if the sunglasses you wear are brand new. All you should care about is how they look. There are many sites where you can pick up some stunning sunglasses that are used. Therefore, you will pay only a fraction of what they cost when they were brand new. The one thing you need to keep in mind is that most stores that sell used sunglasses will not accept any returns. All sales are final. 3. 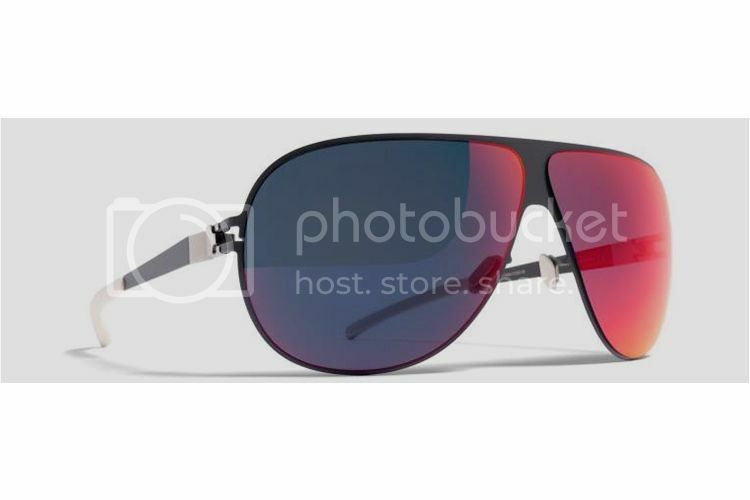 Look for sites that sell their sunglasses wholesale. It would be in your best interests to spend some time looking for sites where you can browse through a selection of wholesale sunglasses. You will be able to save a great deal of money this way. You just need to show patience and look at all of the wholesale sites you can find. It might take you a while to do this. However, the time you spend will be well worth it because you will end up paying considerably less for your sunglasses. However, keep a close eye on the shipping fees to make sure you don’t get overcharged. Are Pinhole Glasses Really Effective? Having poor eyesight is hard and anyone who have this problem would certainly wish to have it corrected if not with the conventional eyeglasses, probably with laser eye surgery. However, not everyone can afford Lasik surgery so they settle for eyeglasses. Now, there’s this phenomenon called pinhole glasses that allow people with blurry eyesight to instantly see clearly without the use of corrective lenses. Also known as stenopeic glasses, they’re eyeglasses with a series of pinhole-sized perforations filling an opaque sheet of plastic in place of each lens. The shape and design are the same with normal frames, only the lenses differ. Each hole allows only a small beam of light to enter the eye. Pinhole glasses are worn like normal glasses but unlike conventional prescription glasses, they produce an image without the pincushion effect around the edges. The manufacturers of these glasses say that they’re great for near-sighted and far-sighted people as well as those with astigmatism, presbyopia, and cataracts but aren’t recommended for those with over 6 diopters of myopia. They also shouldn’t be used while driving since they minimize brightness and peripheral vision. Aside from improving your vision, pinhole glasses allegedly help relieve VDU (computer) eyestrain, headaches, and fatigue. Wearing the glasses for 15 to 20 minutes a day can lead to improved eyesight, so they say. Although many people are optimistic about these glasses, The College of Optometrists say the claims are unsupported and should be viewed with utmost vigilance. Doctors have been opposed to carry out the required clinical trials to substantiate these claims. If you want to try them out, there’re online stores that sell them at really affordable prices, such as Pinhole-Glasses.com. They have tons of stylish pieces with well-finished designs. Furthermore, their pinhole glasses are of the highest quality making use of state-of-the-art manufacturing techniques and laser equipment. 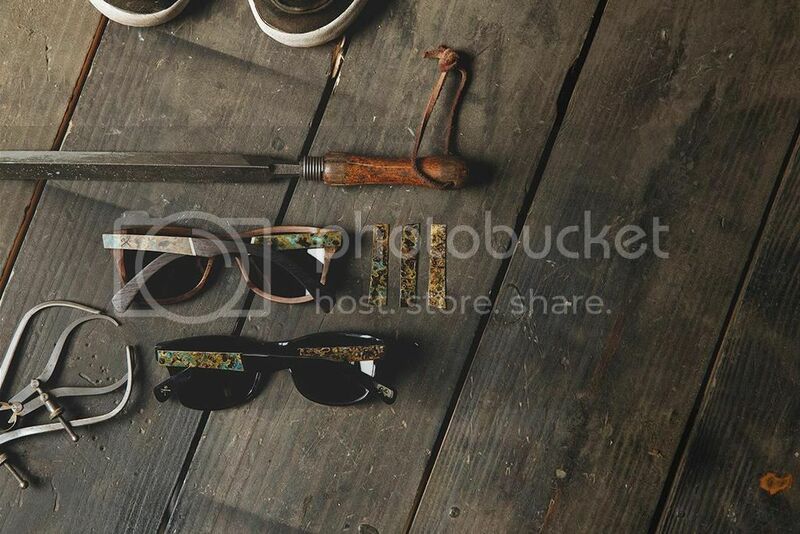 I am actually pretty excited with this collection, Shwood’s Oxidized Collection. Because the items or the pieces itself are pretty quirky where they’ve used different materials on the whole process. I mean, they’ve got some woody for the frame that we haven’t usually see on the ordinary sunglasses and what I’d really like about this collection was, they’ve also fond using off and added up some metal for the piece’s accent which turns out really good. And I know most of you would agree on me, right? Actually, this was my first time to heard about this brand, Shwood, for sunglasses. Because I am just into well known brands for it like RayBan,Carrera, Oakley and more but I think I should consider some other brands as well like this one because they are the best as they strive to give out some awesomely made sunglasses that we consumers are might fascinated to have. Sure thing! I am actually pleased to have one from the collection soon as it gets to the market to avail. About the availability? as for now, I haven’t got their latest PR yet on when they’ll be going out these pieces in the market but more or less, this collection would probably be out this September but no definite date yet. Alright, I’ll keep you posted once I got to know on when they’ll released these pieces. But if you want, you could always check the brand’s main website for further details and update for you to not missed it. Because I am not sure though if I can update you in the timely fashion because I am quite busy with my other online errands too, hence I suggest you then to check their page often for updates. Nowadays, even men love fashion. While others are satisfied with wearing a simple shirt paired with jeans, more and more men are becoming fashion conscious. Not only are they in the loop about what is happening in fashion, they also follow and wear the latest trends. Anyhow, a stylish man is more confident than your average guy because he knows that he looks great. You do not need a lot of money to be fashionable. All you need is good taste, clothes that suit you, and ability to carry them perfectly. One of the leading online stores is East Dane. Launched in 2013 as the brother site to Shopbop.com and is a division of BOP LLC, a wholly owned subsidiary of Amazon.com, it is a well-thought off store that gives a straightforward take on men’s fashion. East Dane has a wide selection of clothes (shirts, jeans, outerwear, pants, sweaters etc. ), shoes (boots, sandals, sneakers), and accessories (bags, belts, jewelry, sunglasses etc.). You will find items from popular designers as well as up and coming talented designers. Have you ever felt the need to shop til you drop but you are stopping yourself from doing so since you do not have enough money or shopping will just ruin your budget? I am sure that a lot of us know and hate the feeling. So it is a good thing when stores, both physical and online, hold sale events. It gives shoppers the chance to save some of their hard earned money and shop for things that they normally will not buy since they cannot afford it. Sale events will likewise give you the chance to buy that item that you have been wanting to purchase for the longest time. However, shopping online for sale items is a lot more different than shopping for sale items at the mall. It is hassle-free, faster, and convenient. 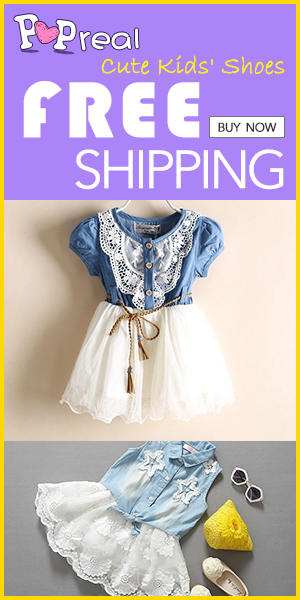 Furthermore, the discount offered at online stores is usually bigger, so you are able to buy more while spending less. Now, here is the fun part. East Dane is going to have its biggest sale of the year and what is even more exciting is that it is going to last for an entire week! There will be no brand exclusions, meaning everything is on sale. The more items you buy, the more you get to save. Spend $250 to get 15% off, $500 for 20% off, and $1000 for 25% off. To get the biggest savings, encourage your friends to shop with you for a group purchase. It would be great to buy nice sunglasses and help the environment in the process. Nowadays, we should always be aware of what is happening in our environment and help in any way we can to alleviate global warming. The popularity of online shopping has resulted in the emergence of many online stores. We can purchase almost anything we want online including stylish sunglasses. One of the more unique stores is WoodyGlass.com. 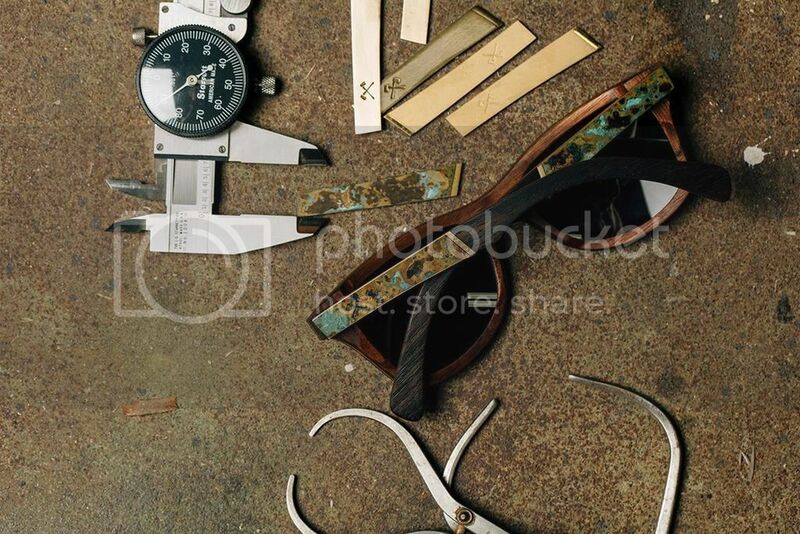 Founded by Keaton Hutto, the company’s goal is to be able to sell high quality and unique wooden sunglasses at low prices. The best thing about them is that they use natural and sustainable products like renewable and fast growing strains of premium bamboo and many other types of wood. All items are durable, carefully designed, handcrafted, and are comfortable to wear because of polarized UV 400 lenses and spring assisted hinges. New styles in different colors are regularly unveiled. Furthermore, you will be able to save money because they give their customers over 50% discount off retail. Included with the discount are free stuff like a felt lined bamboo case, soft cleaning cloth, and a soft cloth bag for added protection. WoodyGlass.com delivers to countries like the UK, Japan, Italy, Indonesia, Germany, France, Canada, and Australia. All in-stock orders typically ship within 24 hours while international shipping takes between 2 to 4 weeks. Every item has a lifetime warranty against manufacturing defects in materials and workmanship. In case you are not satisfied with your purchase, you can return the item within 30 days from the date of purchase in their original packaging. Returned items must be in new condition with no signs of use. Aside from Paypal, you can pay using your credit and debit card. Take a look at all their beautiful sunglasses and shop here. There was a time when people who are conscious of the way they look would not be caught dead wearing eyeglasses and would instead wear contact lens because they do not want to look nerdy. Nowadays, with many online optical stores around offering an array of stylishly-designed eyeglasses, people especially women, have become more open to the idea of donning eyeglasses and no longer feel unattractive just because they are wearing one. As long as they match perfectly with the shape of your face and your personality as well, eyeglasses can be a bold fashion statement. 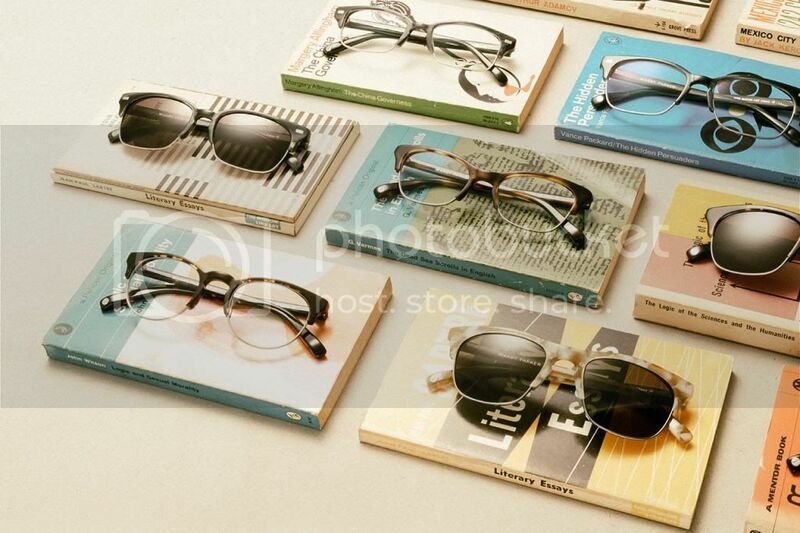 A leading online retailer of eyeglasses and other eyewear is GlassesShop. This American owned and operated store have sold over a million pairs of eyeglasses worldwide since 2004, providing high quality and stylish pieces at low prices. The store’s goal is to satisfy all their customers with their superior and reliable eyeglasses. Their frame sourcing and quality control protocols give you the best online selection of eyeglasses anywhere and their quality assurance technicians will assure you that the item you get is durable. GlassesShop.com’s prescription eyeglasses frames and sunglasses come with a 90-day quality warranty. Furthermore, they ship in more than 45 countries through express companies like UPS/TNT. The processing time for deliveries depends on the type of orders. Customers can buy prescription eyeglasses by choosing to shop by gender, type, materials, shape, frame, price, color, and eligible for lenses. As for sunglasses, there are men and women’s and prescription sunglasses. They accept all major credit and debit cards and payment through PayPal. If ever you are not satisfied with your glasses, you will be given a one time return for a refund. The first pair of glasses you buy is free but shipping and handling fees apply. You can likewise get 20% off site wide if you use the coupon code “GSRonel“. Follow GlassesShop on their media channels for you to update yourself on their ongoing promos and deals. Sunglasses are a great style accessory that many people take advantage of. Style, however, is not the only reason to wear sunglasses. There are also many health advantages to wearing sunglasses. If you’re not aware of this, we will take this time to explain to use some of the risks you are taking exposing your body to by not wearing sunglasses. Of course, sunglasses won’t keep you completely protected from skin cancer. The rest of your skin that is not covered by the sunglasses will still be at risk for skin cancer that is caused by the sun, however, your eyelids are not immune to this disease. 10% of all skin cancer that is caused by some it is found on the patient’s eyelids. The reason for this is because a person’s face is always in the sun. They have to be able to expose their skin on the face in order to see and interact with their surroundings. If they do not wear sunglasses, their eyelids are one of the areas that will receive the most sunlight. Over enough time, prolonged exposure to the sun can result in skin cancer development. Wearing sunglasses is one way to protect your eyelids from this type of cancer. Of course, you will need to take other measures in order to protect the rest of your skin. Sunglasses prevent your eyes from being damage from UV rays. UV rays have been proven to cause cataracts and eyes. It is estimated that around 1 million people have become blind because of cataracts. Wearing sunglasses and protecting your eyes from the sun’s harmful rays is the best way to prevent this from happening to you. Many people get headaches or experience more significant headaches if their eyes are exposed to direct sunlight. People often complain that they have headaches next day after being out in the sun all day. This is because dealing with the bright sunlight is a lot of stress on your eyes. If you don’t wear sunglasses, your eyes will become over worked and you can experience headaches later that day or the next day. Sunglasses will give your eyes a break and not force them to expend as much energy adjusting to the light throughout the day. This will make it easier your eyes and it will decrease or even eliminate headaches for this reason. Along with this, if you suffer from migraines, you really should own a good pair sunglasses. The bright sunlight can trigger migraines in line sunglasses is one way to prevent that from happening to you. Thankfully, there are many great looking sunglasses that you can choose from. You can also find great deals on high quality sunglasses. 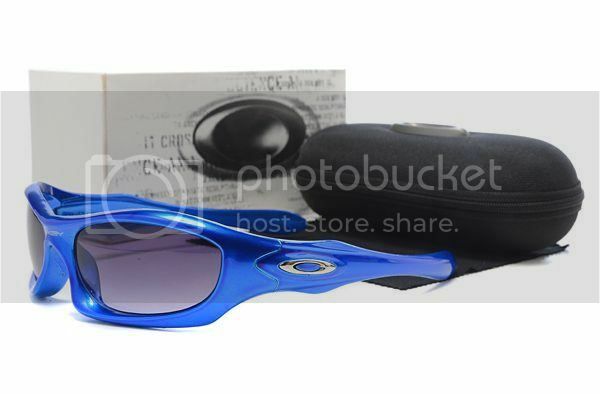 You can find cheap Oakley sunglasseshere, for example. Look around and see what types of sunglasses suit you best. The most important part is that you have great-looking pair of sunglasses to protect your eyes from the sun’s harmful rays. Snows are starting to melt down, and summer season is fast approaching here where I resides. Nope! I think we do have a year-round summer season.LOL That’s why having an great sunglasses is a must! ehhe Today, let me share with you these new set of collaborative sunglasses from the 2 giant brands called Bernhard Willhelm & MYKITA. They came up on this idea of releasing new set of sunglasses that has this vintage theme and at the same time it has these trendy features on it. I simply liked the UV protection feature which helps us to protect our eyes in the sun rays and other irritating lights from the outdoor activities. Also, the colors uses on the sunglasses lenses are pretty cool too and it can brings back really the 80’s era which I know most of our parents would surely like to have. This is a prefect gift too for your dad this new year. Further details will be posted soon as the collection , Bernhard Willhelm x MYKITA 2014 Spring/Summer Collection, released in the market. Sunglasses are the one versatile above all accessories today. Because they can be worn in sorts of styling and in every type of season we may have. Yeah! sunglasses are usable than to the other main accessories available today in the market. Why do I say so? Because look, sunglasses are the main piece as we got this summer season, right? for us to have this protection from the sun hit and into ultra violate rays thingy which can affects to our eyes if we dont wear any sunglasses in each of our end. Also, sunglasses can be a great accent too on those black inspired fall and winter pieces, just look at the photo below on how the guys did rock their fall outfits with their sunglasses on. Indeed! sunglasses are cant abolish in the fashion industry because it’s fashionable and functional at the same time. This how you may wear your sunglases as we got into cold breeze of air seasons, fall & winter. 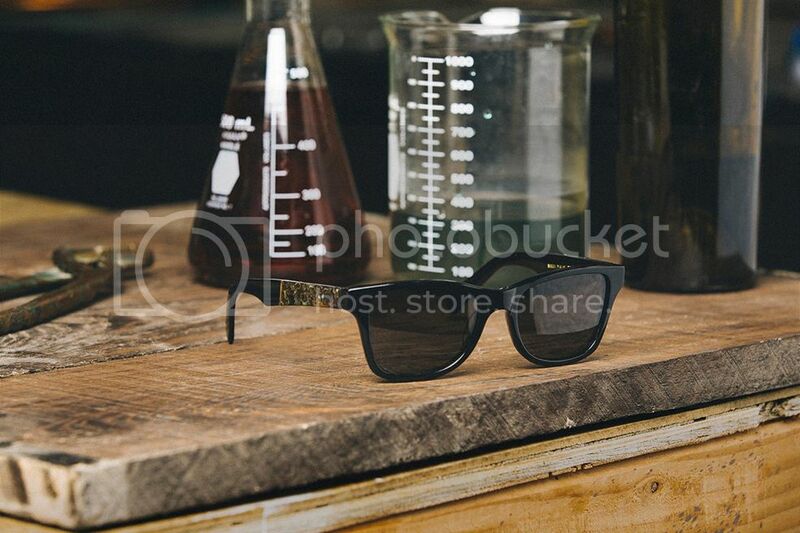 Recently, the brand Warby Parker ,one of the leading eyewear brand today, had released their fall collection 2013. You may see the preview on the very top photo. I must say, each frame are greatly made and the lenses was looking fine too. Actually, I dont have any idea yet or information in hand yet regarding this Warby Parker 2013 Fall Collection – though I used to work with them before for their campaigns and yet they haven’t sent me out anything additional details regarding this awesome collection. I instead encourage you to head up to their main website for you to be updated as they release the further details about this Warby Parker 2013 Fall Collection which they’ve cooked for us this coming fall season.